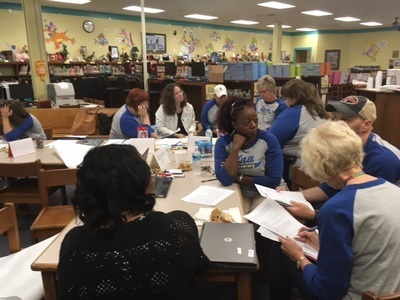 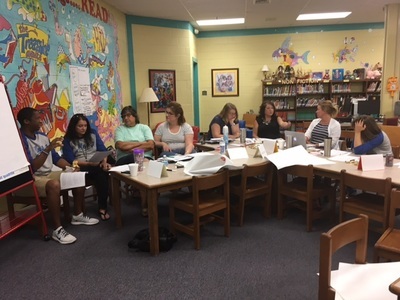 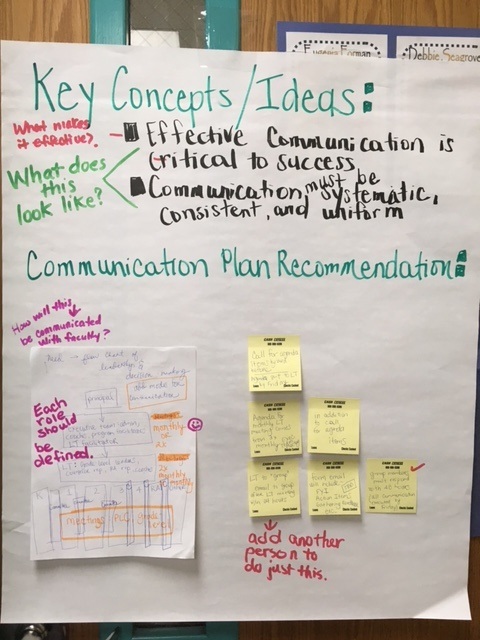 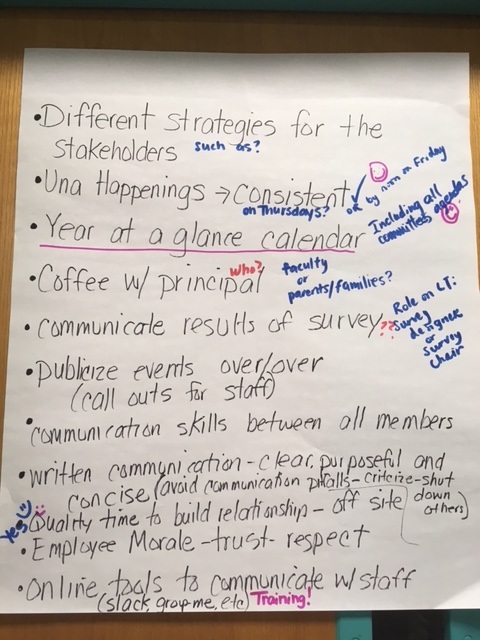 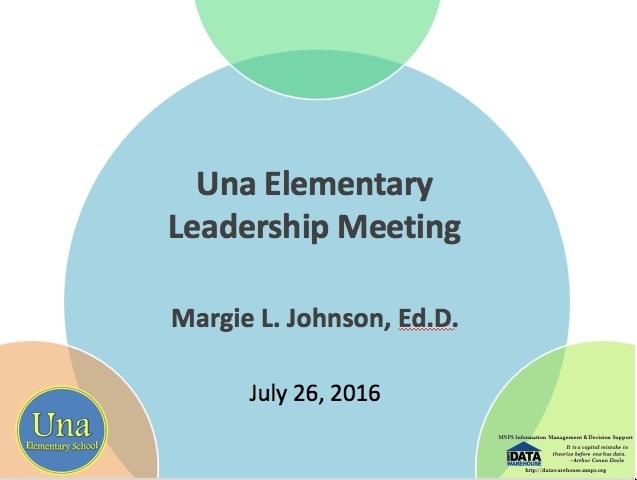 Using the collaborative inquiry process, the Una Elementary Leadership team met to discuss and to develop a communication plan for the 2016-2017 school year. 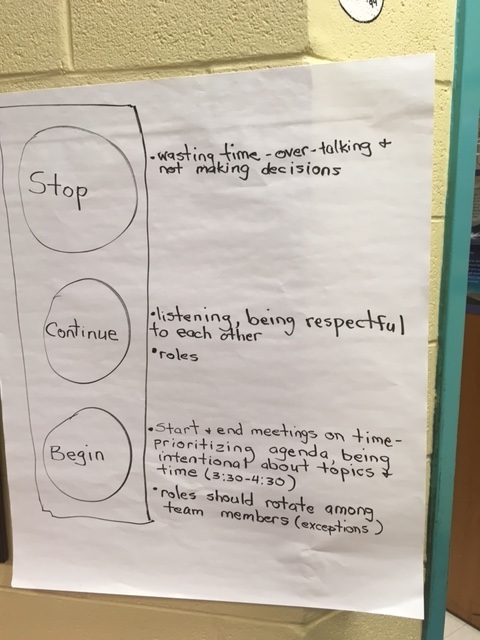 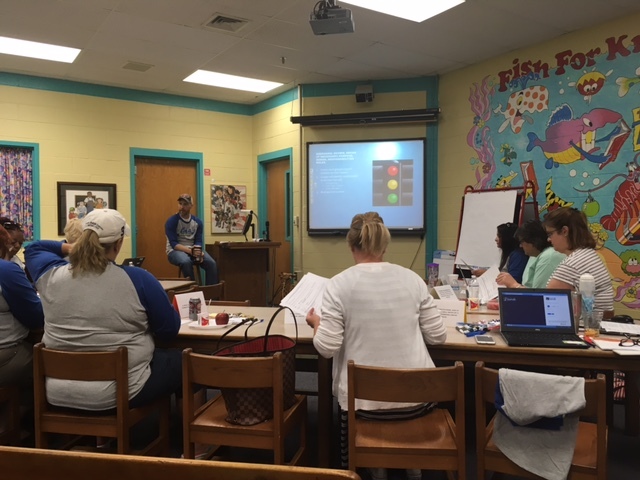 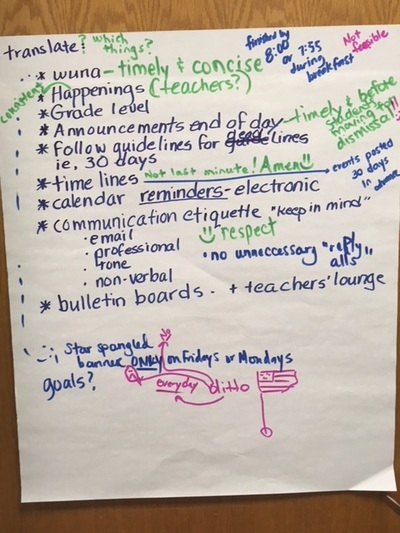 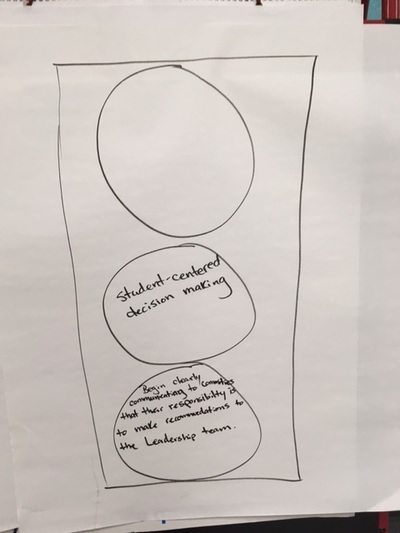 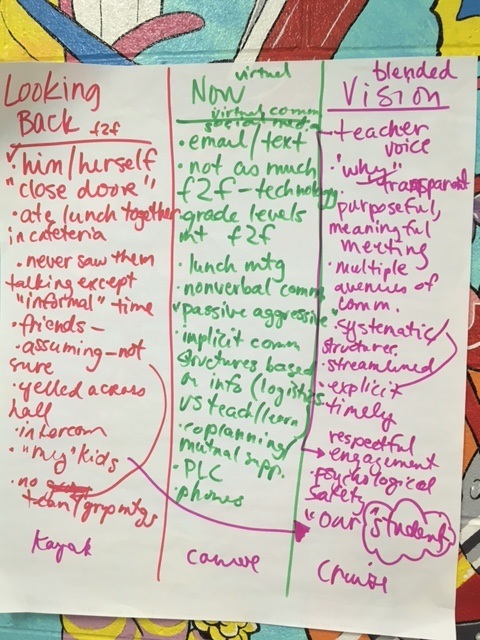 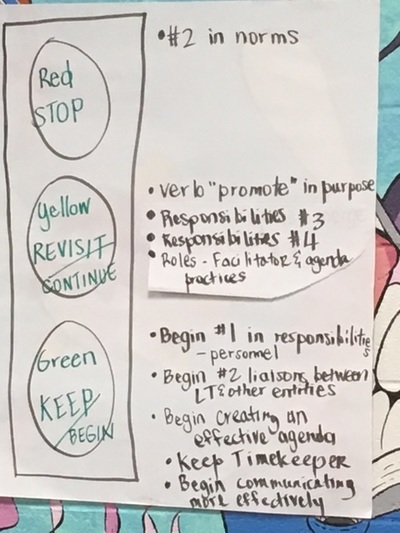 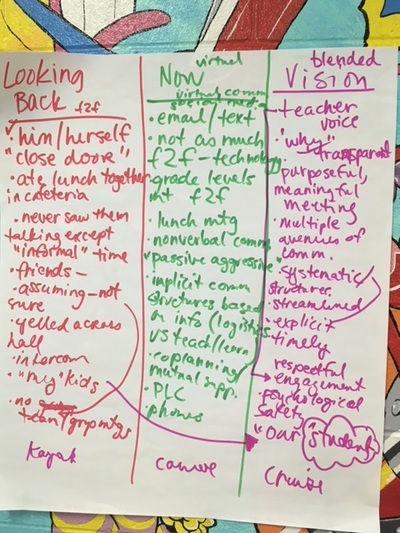 The meeting was kicked off by Ryan Payne where they used the Traffic Light protocol to review the leadership team purpose, norms, responsibilities, and roles. 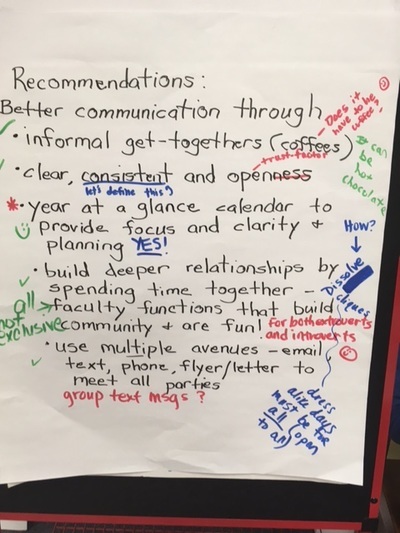 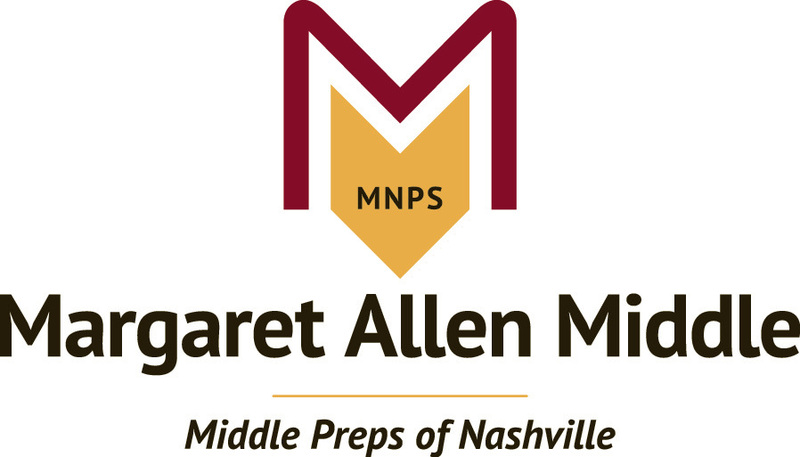 ---Communication subcommittee will meet to consolidate recommendations and bring back to the leadership team. ---Celebrate successes and build on them.